The Armada ARV 96 Ti, part of their limited-edition “Zero” collection, sits in a unique spot in the market. It’s built on the same shape and rocker profile as the standard ARV 96, which is a freestyle-oriented all-mountain ski. But the ARV 96 Ti has — you guessed it — titanal in its layup. There aren’t many freestyle-oriented, metal-laminate skis out there. So let’s take a closer look at the ARV 96 Ti to get a better idea of how it compares to the rest of the market. Based on what we’ll discuss in the next sections, “hard-charging twin” seems like a pretty good description of the ARV 96 Ti. It’s also interesting that the mention of the ARV 96 Ti being a “twin” is about the only hint that Armada gives us that this is a shape designed for throwing tricks. The ARV 96 Ti has the same exact shape and rocker profile as the standard ARV 96. The ski has what I’d call a “moderate” amount of taper — it’s more tapered than some skis like the Dynastar Menace 98 and Rossignol Black Ops 98, but less tapered than others like the K2 Poacher and J Skis Allplay. The ARV 96 Ti’s rocker profile is similarly moderate. It has a slightly deeper tip rocker line than the Black Ops 98, Nordica Soul Rider 97, and Faction Candide 2.0, but its tip rocker line isn’t as deep as some skis like the Moment PB&J and Faction Prodigy 2.0 & 3.0. The ARV 96 Ti’s tail rocker line is a bit shallower, but I’d still call it a slightly rockered twin tail (as opposed to a fully cambered twin). The last noteworthy thing here is the ARV 96 Ti’s camber — it’s got a lot at around 6-7 mm. The ARV 96 Ti’s flex pattern feels very similar to the flex pattern of Armada’s other metal-laminate freestyle ski, the ARV 106Ti. Both skis start fairly soft at the ends, but as soon as you get to the portion of the ski that has sidewalls (as opposed to the capped tips and tails), the flex ramps up quickly. And given that the sidewall portion comprises about 75% of the ARV 96 Ti, that means most of the ski is quite strong. Compared to the Menace 98, the ARV 96 Ti stiffens up a bit quicker as you move toward the middle, and the ARV 96 Ti’s tips and tails are a touch stiffer. Overall, the flex pattern of the ARV 96 Ti is fairly similar to the Black Ops 98’s, but the ARV 96 Ti is a touch softer around the shovels. The ARV 96 Ti has a very progressive mount point of around -2.6 cm from center. That puts it squarely in line with other freestyle-oriented skis like the Faction Candide 2.0, ON3P Magnus 102, and Line Blend. We’ll be playing around with the mount point on the ARV 96 Ti to get a better idea of how it responds at different mount points, and to the correspondingly different skiing stances and styles. The ARV 96 Ti is not a particularly light ski at a little over 2100 grams per ski for the 184 cm length. That’s not crazy heavy compared to more directional metal-laminate skis, but it is notably heavier than some other skis in the all-mountain-freestyle category. For reference, here are a number of our measured weights (per ski in grams) for some notable skis. As always, pay close attention to the length differences to keep things more apples-to-apples. (1) We don’t see many metal-laminate skis with freestyle-oriented shapes, so how will the ARV 96 Ti compare to the skis in the two categories it seems to combine? (2) Will more directional skiers still get along with the ARV 96 Ti, given its forward mount point? (3) How much playfulness does the ARV 96 Ti lose compared to lighter and / or softer freestyle skis? The Armada ARV 96 Ti looks pretty straightforward — take Armada’s ARV 96Ti’s freestyle ARV 96 and bump the stability up a notch with the addition of two layers of titanal. But is it really that straightforward on snow? 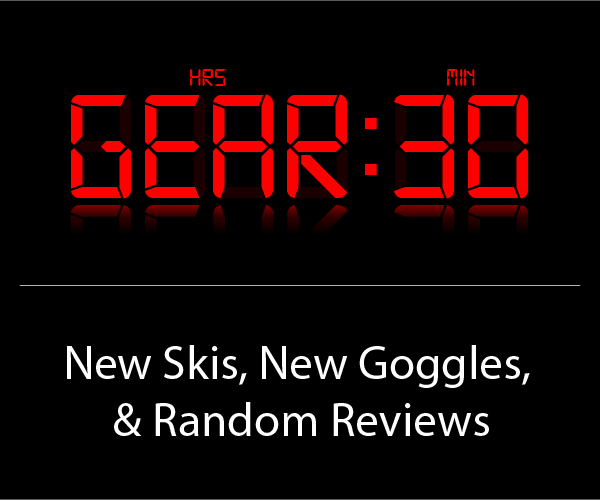 Blister Members can check out our Flash Review linked below for our initial on-snow impressions, and then stay tuned for our full review. Blister Members can now check out our Flash Review of the ARV 96 Ti for our initial impressions. Become a Blister member now to check out this and all of our Flash Reviews, plus get exclusive deals and discounts on skis, and personalized gear recommendations from us. This needs to be compared with the Kartel 96 as it seems to be most in line with it. According to Armada’s mounting guide (https://armadaskis.com/en-us/mounting-guides/) this ski actually has 2 recommended mounting points one called “Freeride” (~5cm behind center) and one called “Freestyle” (~2,5 cm behind center). Even though the ski only has ONE “recommended line” printed on the ski (=”Freestyle”), Armadas own recommenation (green color in the sheet) is to go for the “Freeride” (~5cm behind) for the ARV 96 Ti (while the “Freestyle” mounting point is recommended for the non Ti version). Confusing? Yes it is! I own a pair and my recommendation is to go for Freeride (~5 cm behind). It is alos worth noticing that armada measures the recommended mount point from the tail in their mounting guide. I.e. The ARV skis have 2 different recommended mounting points according to Armadas mounting guide (https://armadaskis.com/en-us/mounting-guides/) and for the ARV 96 Ti, Armadas recommendation is the “Freeride” mounting point which is ~-5cm from center, while the recommendation for the non Ti version is the Freestyle mounting point at ~-2,5 cm. This makes a lot of sense since the Ti version is more of a “twintip charger” while the non Ti has softer flex and is more of a park/freestyle ski. This is confusing for the consumer since Armada have only one “recommended line” (Freestyle) printed on the ski at ¨-2,5 cm (Freestyle) both for the Ti and non Ti version…. :) :)…. Looking forward to your experience with the mount points. I have mine at -2.5, and coming from a much more directional ski (Black Crows Atris) noticed it took a run or two to get used to the mount point. Could be just that I’ve never had that much tail behind me, but noticed it just needs me to be more “on” it/not sloppy with my technique. Then again, I guess this isn’t a surprise given the narrower platform with less rocker and higher camber height than the Atris. Still, curious if mounting farther back might change any of my current experience.